For some, Thanksgiving is all about the turkey. Some can’t wait for the green bean casserole, the candied yams, the sausage stuffing, and, of course, the pumpkin pie. 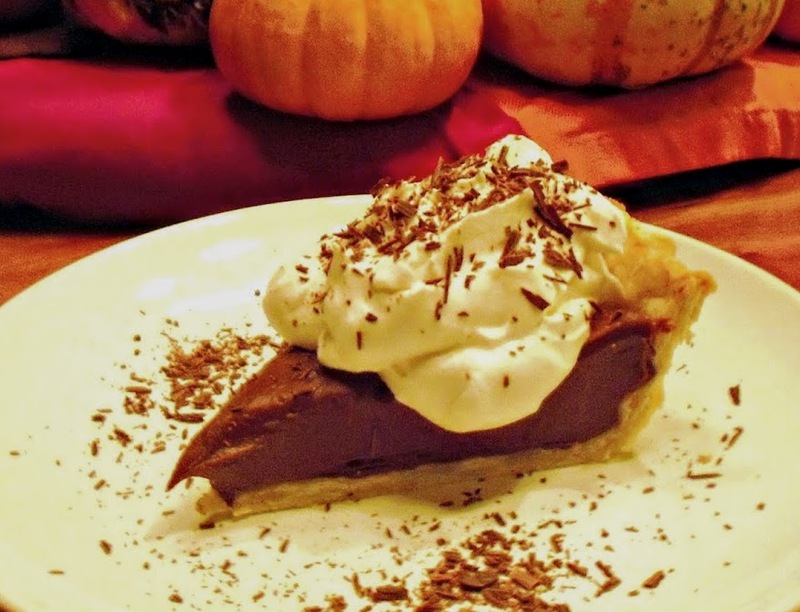 For me, the star of the show has always been the chocolate cream pie. I’ve been trying to remember when I made my first one and, frankly, why I made my first one. I assume it was because my mom was a die-hard Libby’s pumpkin pie baker and my grandma and aunts were fans of the fruit and mincemeat pies. I, as a young girl, was not a fan of any of the aforementioned, so I think I sought out the chocolate variety on my own as a young teenager. Again, I wish I could remember, but I’m the person who found herself hobbling around at the market yesterday before I realized I had on mismatched boots with differing heel heights on, so I’m really not “all there” these days. We need to get started because I’ve made sure all the steps are included here and it could take awhile. 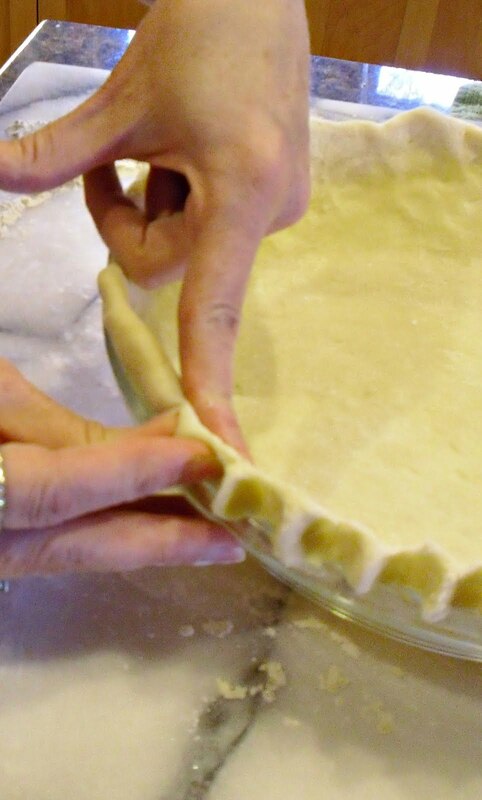 I highly suggest you make your pie dough a day or two ahead if you can. I understand reading this may send some of you sprinting to your local market to pick up pre-made pie crust. That’s fine, the filling will still be wonderful. But, for those of you willing to really learn how to make this crust, I think you’ll find it’s well worth the extra effort. 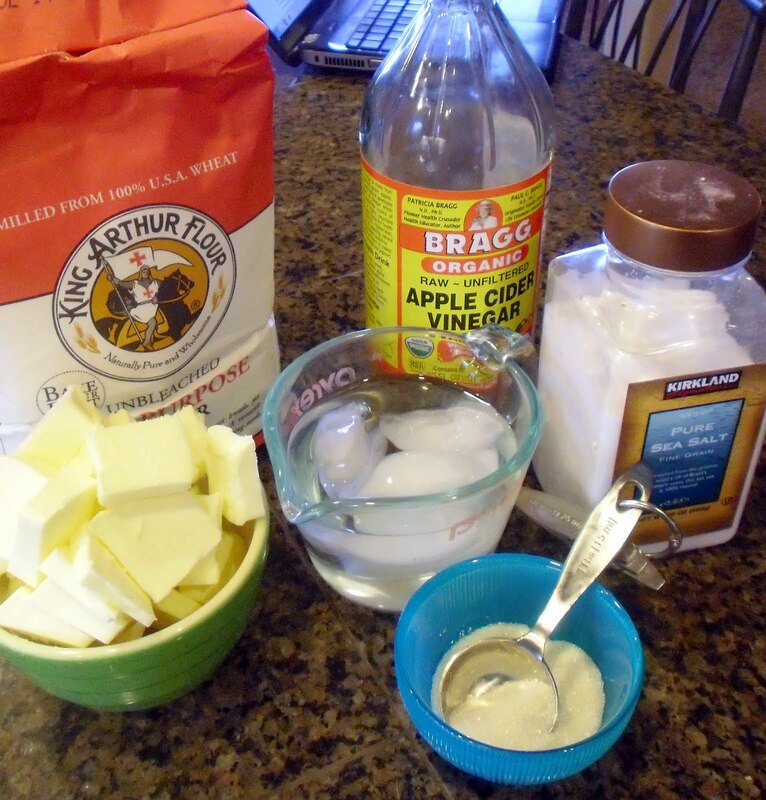 First, assemble your ingredients… this has been my favorite crust recipe for the last few years. The single most important thing to remember for flakiness is to keep all ingredients as cold as possible. 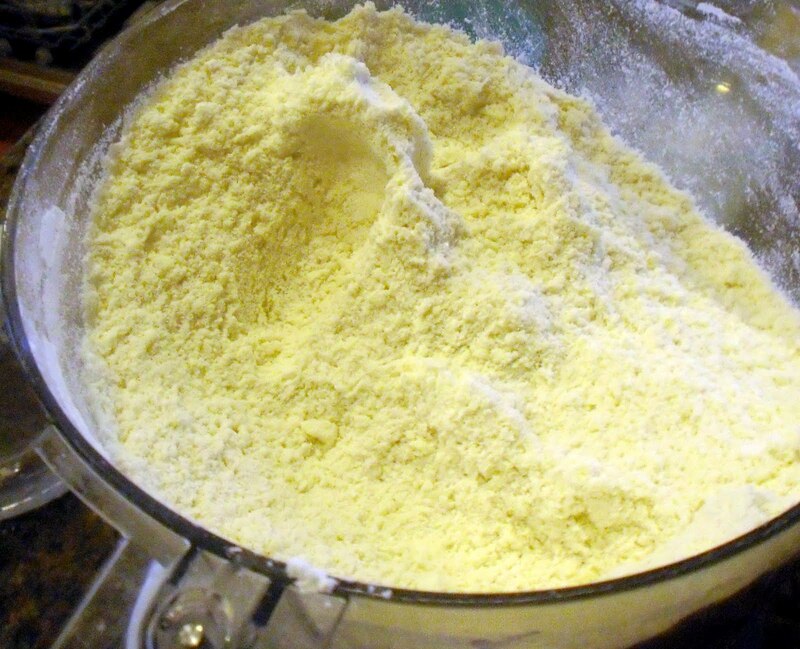 Blend flour, sugar, and salt in food processor. If you don’t have one, you can do it the old-fashioned way. 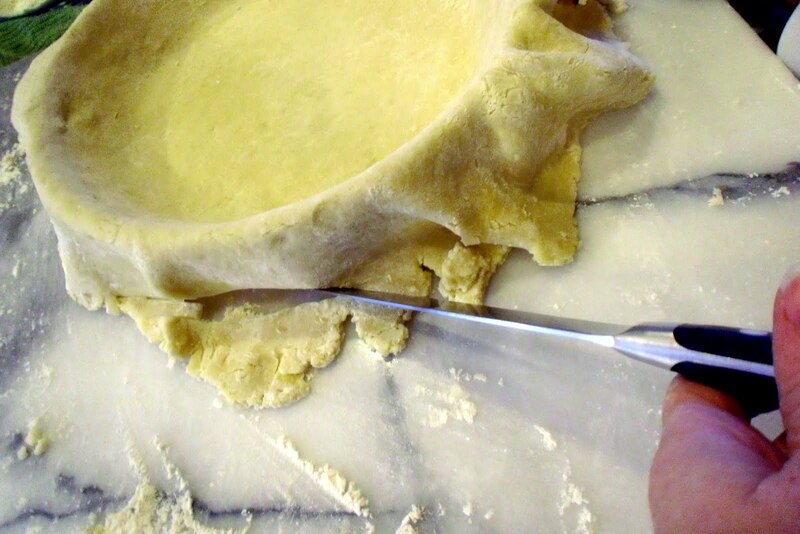 I used the pastry cutter for years and it works fine, just takes a lot longer. Add butter and pulse (on/off) until coarse meal forms. 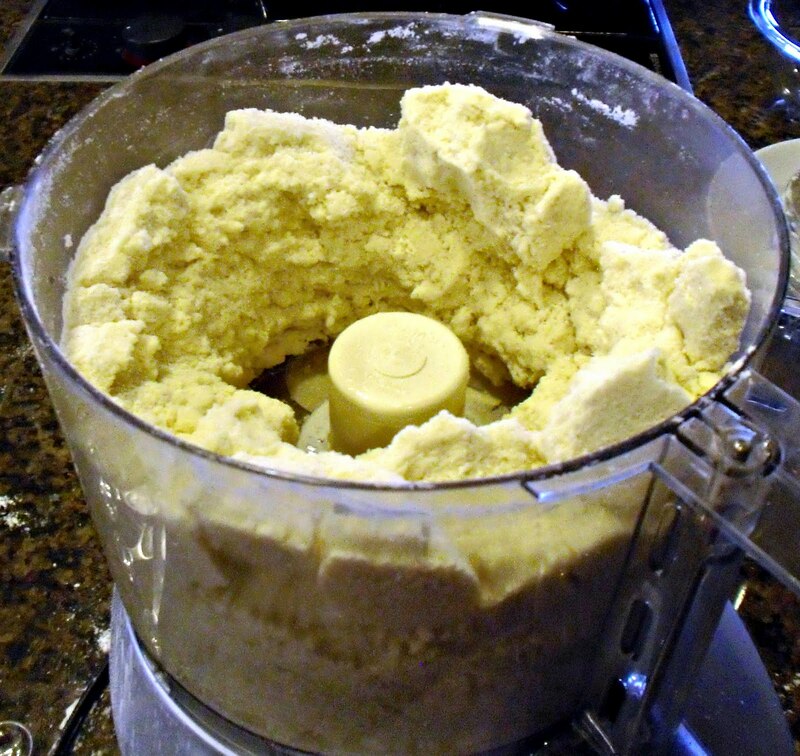 You want to make sure all of the flour is incorporated into the butter. Loose flour will turn to paste once the water is added. 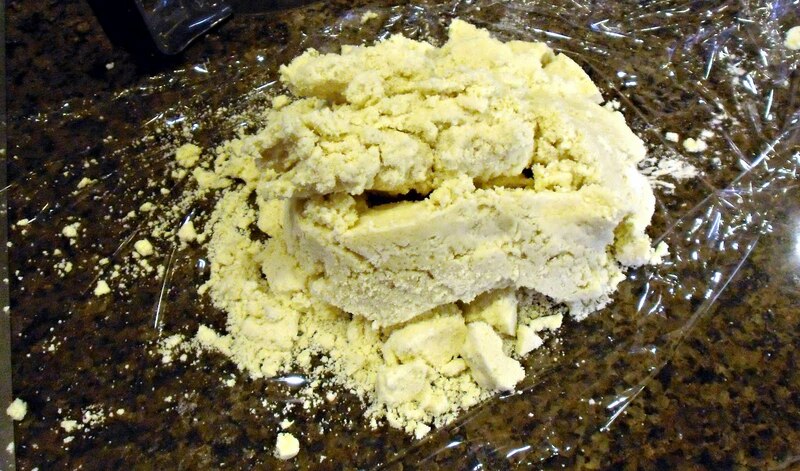 Paste is not flaky. Add ice water and vinegar and pulse until the dough begins to come together. Moist clumps should form. 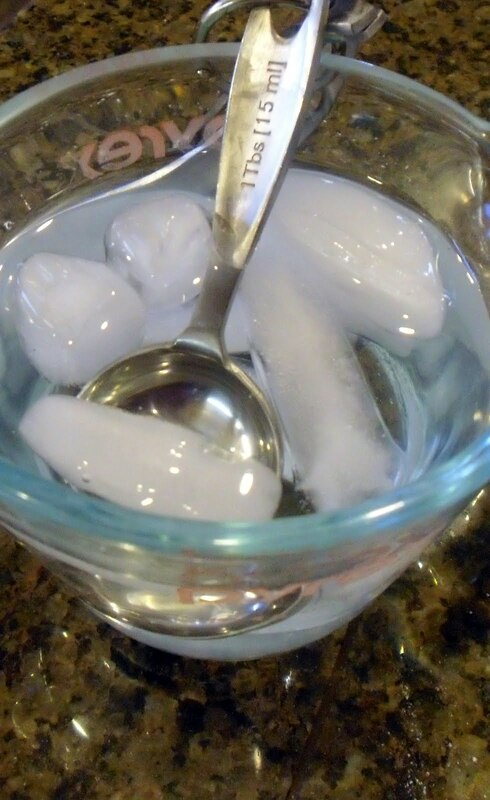 If the dough is too dry, add a little more ice water. 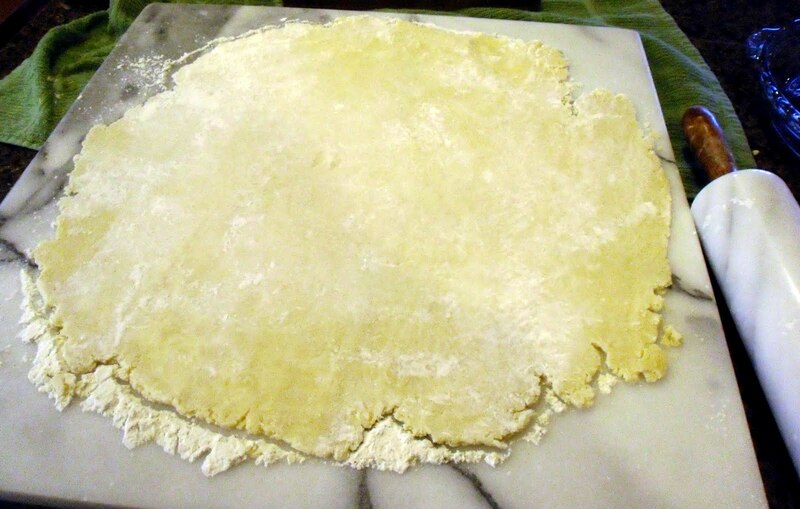 Turn dough onto plastic wrap on work surface. 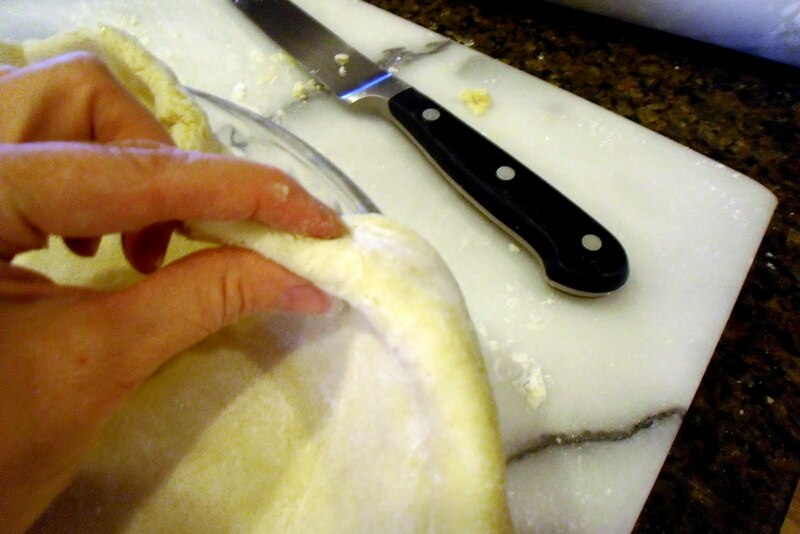 Using your hands, gather the dough together and cut it in half. 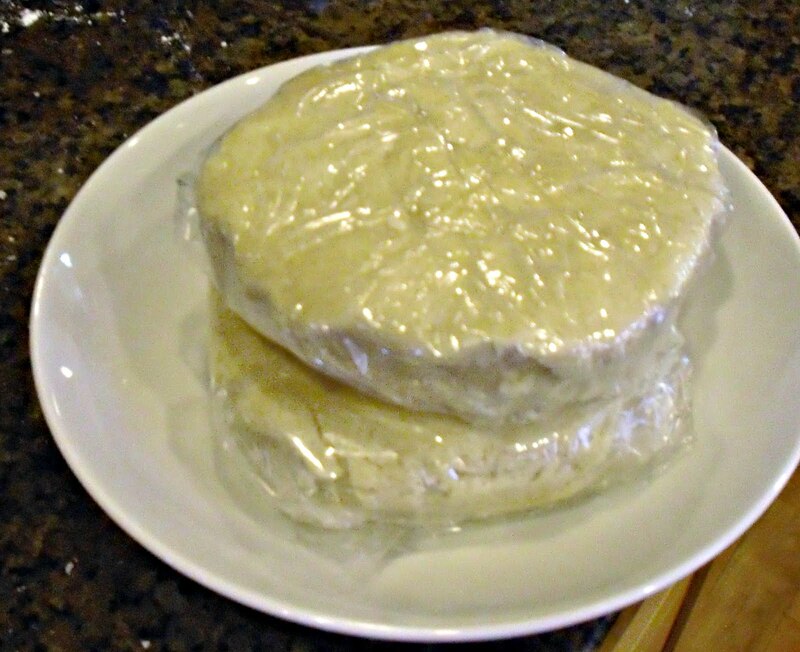 Form dough into two disks, wrap, separately, in plastic. Refrigerate for at least 1 hour. (Can be refrigerated for a few days. You may also wrap it in a resealable freezer bag and freeze up to 1 month, thaw in refrigerator overnight and soften slightly before rolling out). On a marble slab, using a marble rolling pin (What?! You don’t have a marble slab and rolling pin? Where are your priorities??) 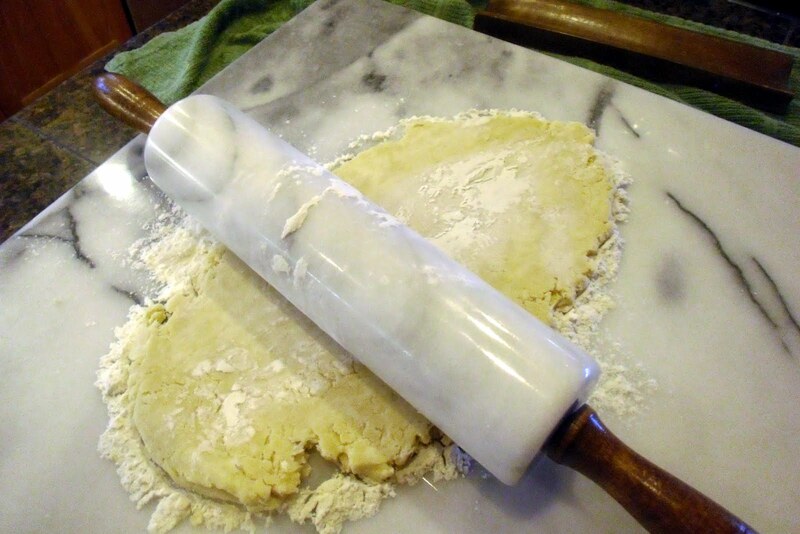 or, you know, any flat surface and a wooden rolling pin, flour the surface and begin to roll out your dough. Just take a deep breath and start slow, roll it a little one way, then the other, then turn it over and repeat until you have the desired size. Trim off the edges (save to bake later with cinnamon and sugar). Then, using your thumb and two index fingers, make a decorative edge. Don’t worry about perfection here, if it tastes good, you’re fine and whipped cream will cover any ugly edges. 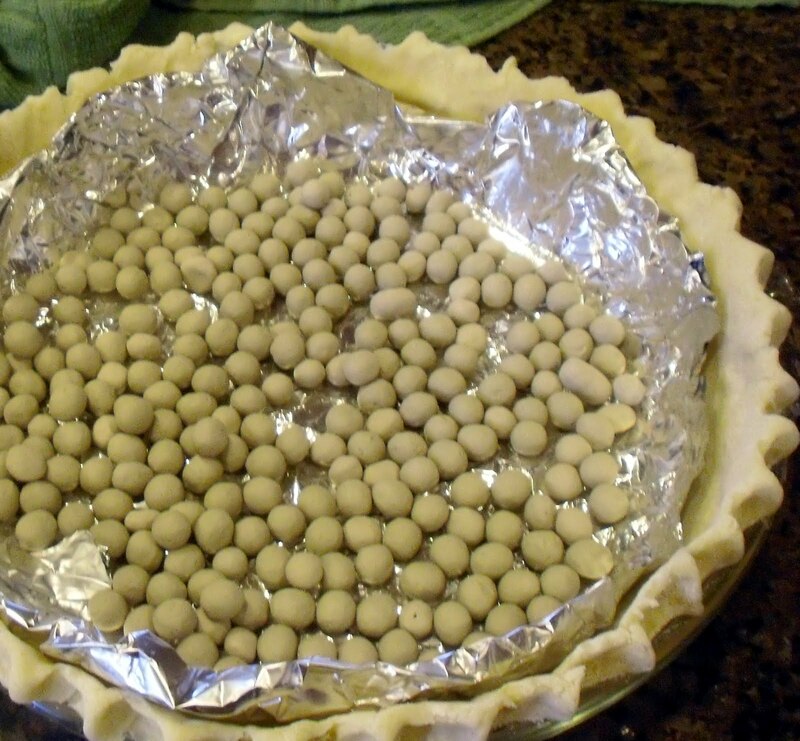 Chill 30 minutes before baking.Preheat oven to 375 degrees F.
Prick the bottom of the crust with a fork to prevent puffing, then line it with foil and pie weights or dried beans. Bake @ 30 minutes until sides are set and pale golden. 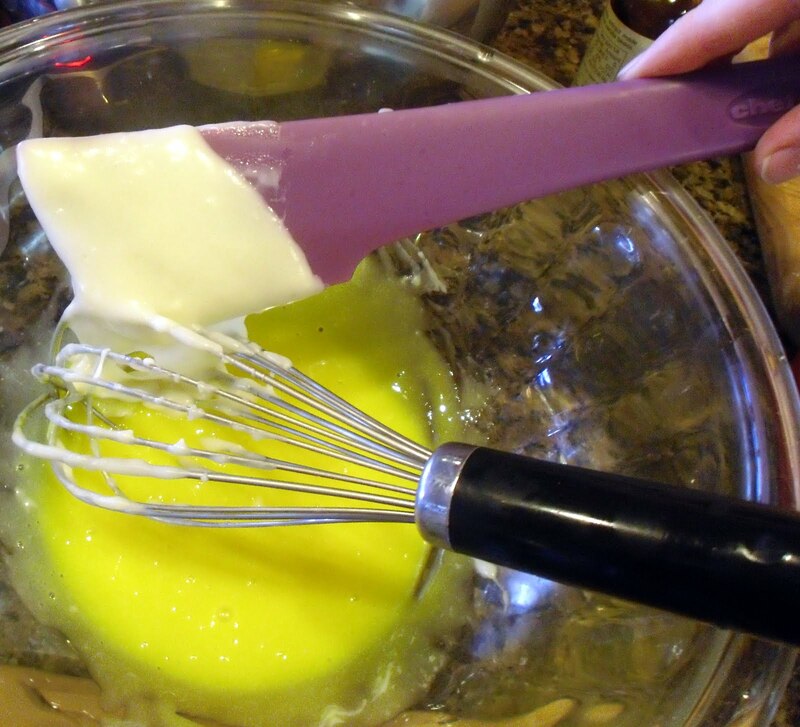 Remove from oven and brush with lightly beaten egg white, return to oven and bake another 5-10 minutes, until golden brown. 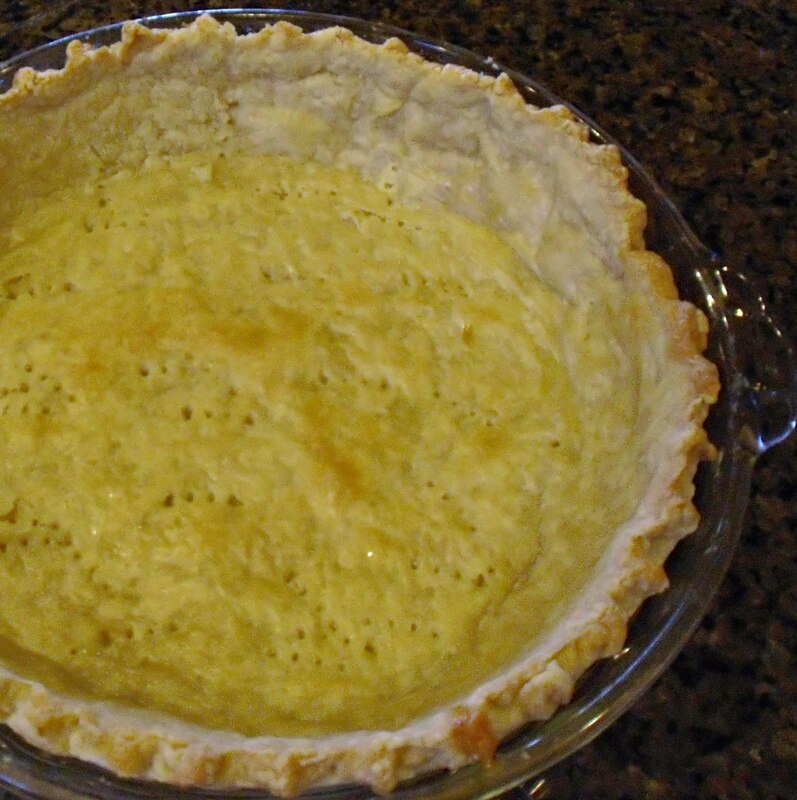 (the egg wash creates a barrier between the crust and the filling preventing a soggy crust). Cool at room temp and prepare the filling. 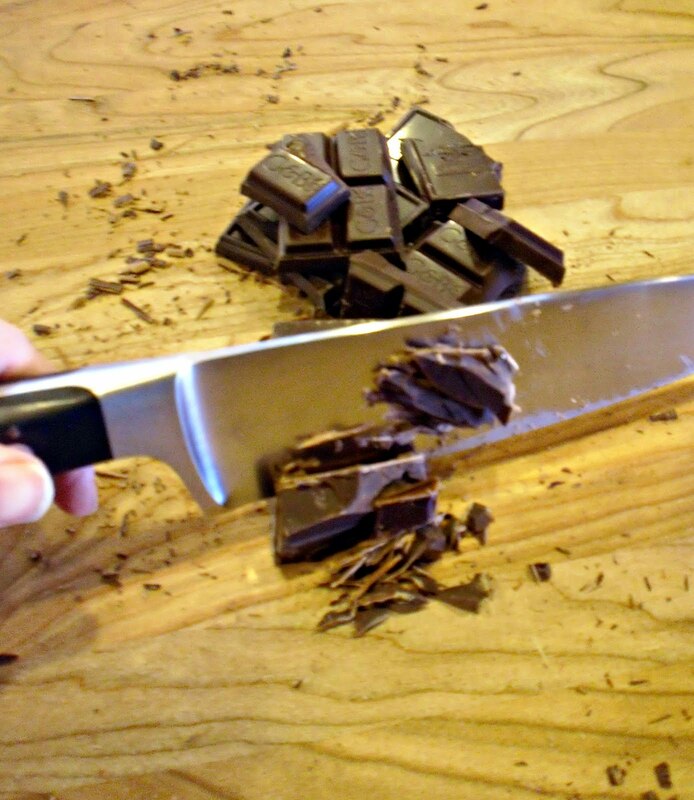 Chop your chocolate before you begin. I beg of you to use really good quality chocolate. 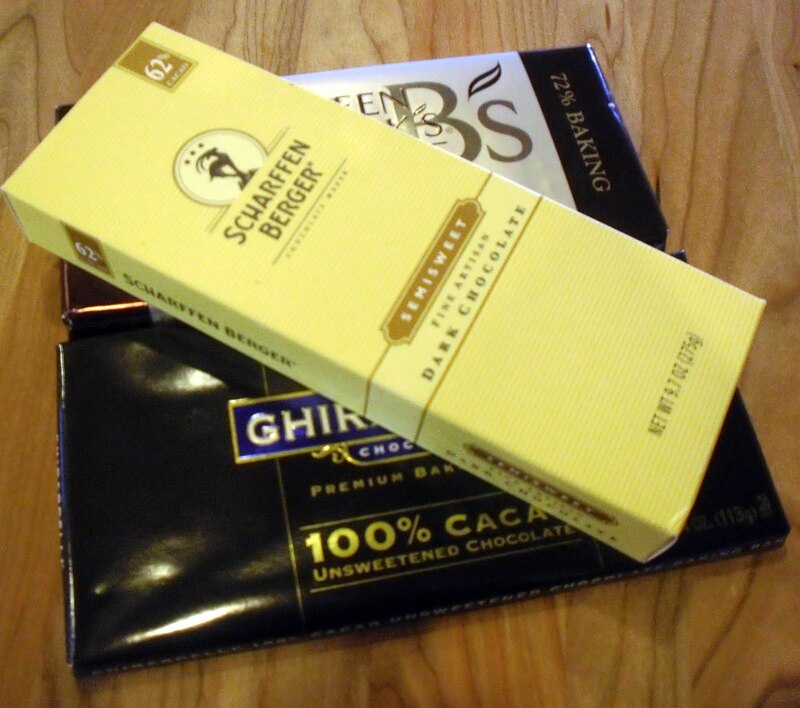 I use a combination of Scharffen Berger, Green & Black’s, and Ghiradelli here but also recommend Guittard, Dagoba, and Valrhona. If you like a sweeter filling, skip the bittersweet (70-72% cacao) and double the semi-sweet (60-62% cacao) and increase sugar to 3/4 cup. I must say, however, this was plenty sweet and a big hit with my 4-year-old girls as written! 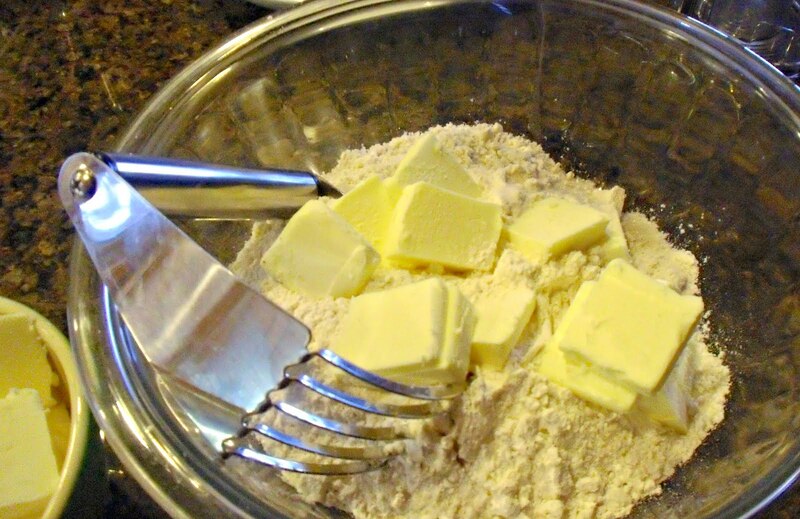 In a medium saucepan, combine sugar, flour, and salt. 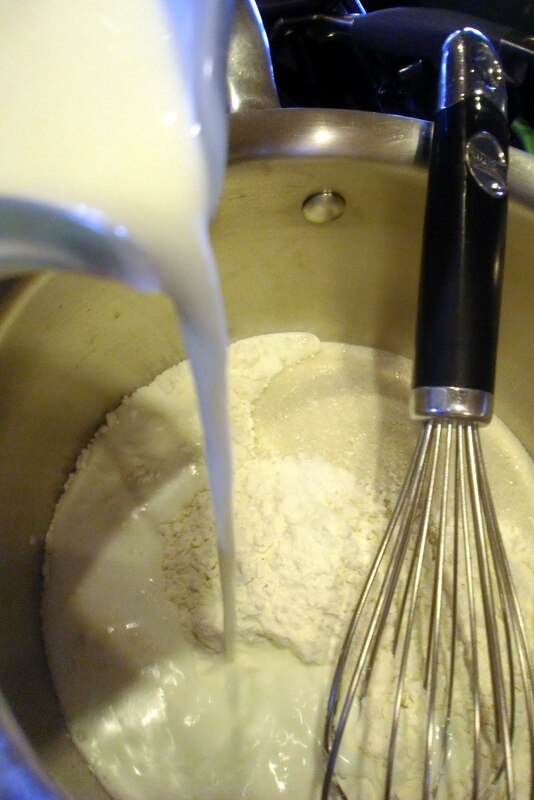 Over medium heat, slowly add milk, stirring constantly until smooth. Cook until the mixture thickens, about 10 minutes. Remove from heat. Add about 1/3 of the hot mixture, a little at a time (so they don’t become scrambled eggs) to the egg yolks to temper, then return eggs to the rest of the hot mixture and cook a couple more minutes until thick (pudding consistency). 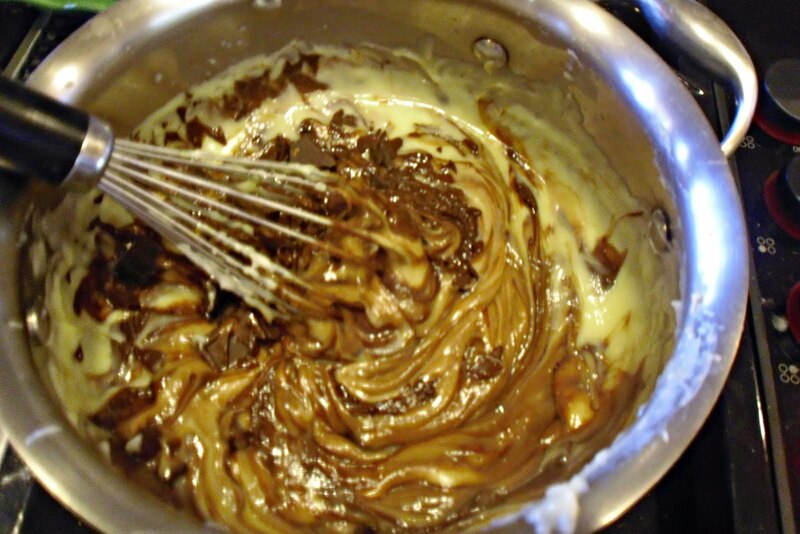 Stir in chopped chocolate, butter, and vanilla and set aside to cool slightly. 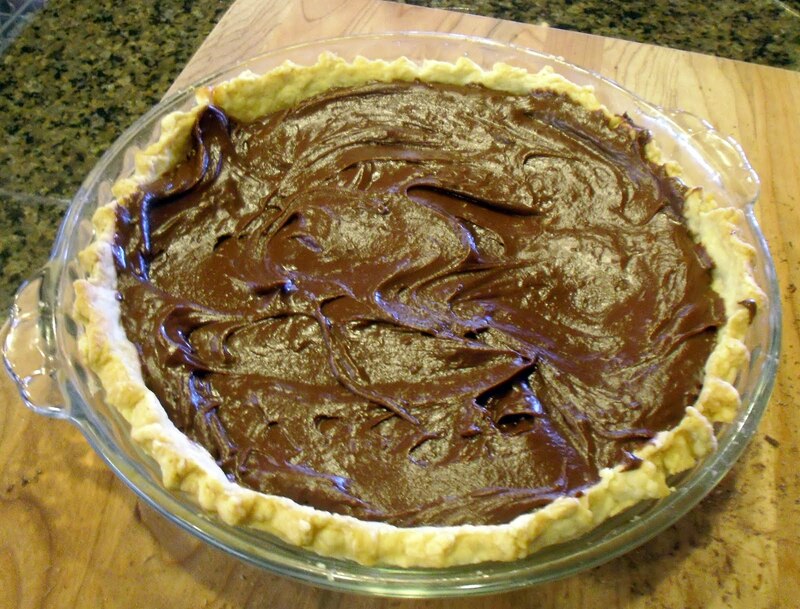 You don’t want the filling too hot or it might create steam which could make the crust soggy. Do you detect a theme here? We do not want a soggy crust!! It’s okay if it’s still warm though. 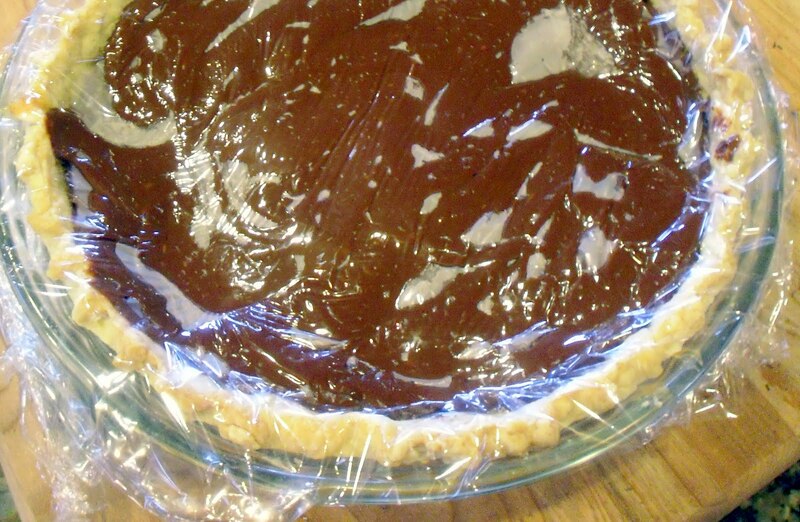 Cover with plastic wrap, pressing lightly on the filling so it doesn’t form a chewy “crust” on top. Chill until set, at least 1 hour. 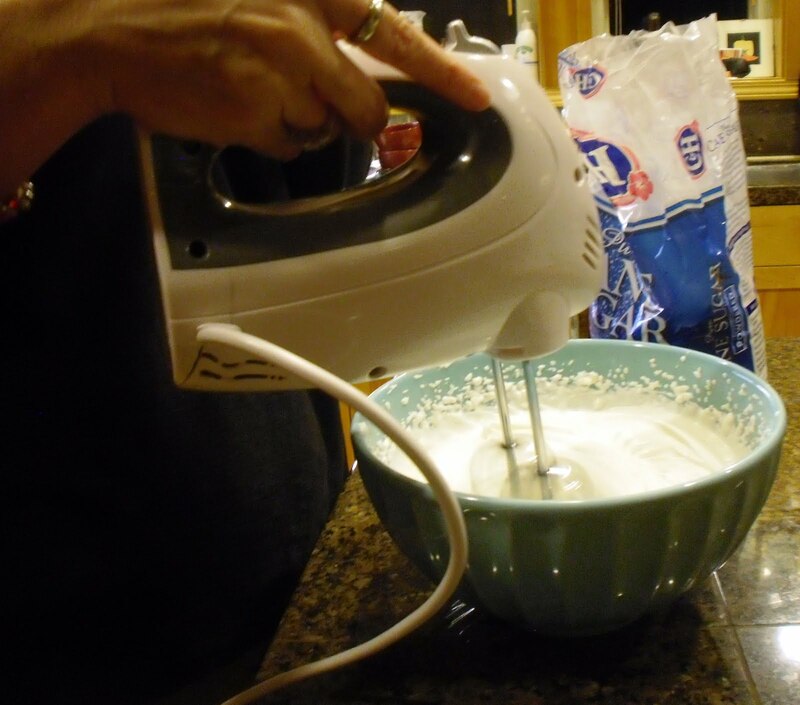 Whip heavy cream, sweeten to your taste with powdered sugar and vanilla extract. I wish you a blessed Thanksgiving rich with full plates and full hearts!